Today I thought I would share with you some of the little free treasures my flatmate Gabrielle and I have discovered in Guildford. As a student on a budget, there is no other word that gets me more excited than FREE. So grab a pen and paper and mark these down because I have found you a list of free things to look for in Guildford. The first, and by far my favorite free activity, is the yoga classes offered by a few different stores in Guildford. The two I have tried and very much enjoyed are Lululemon and Sweaty Betty. Both offer a free hour long yoga class on Sunday mornings in their stores. Gabrielle and I have been going every week. A perfect start to our Sunday mornings. Both locations provide yoga mats and excellent instructors. I find it so great that both of these stores offer such a wonderful complimentary activity. The next free item is the complimentary hot drinks from Waitrose. As I live next to Waitrose, I have been doing almost all of my shopping at their store. Though I know it is a bit more expensive compared to other grocery stores, the convenience of it has been a major swaying factor in addition to their free hot drink with purchase. All you have to do is sign up for their free loyalty card which they scan when you purchase your groceries. You can then redeem your drink. Another free activity that I was pleasantly surprised to discover is the free admission to the Guildford Museum. It is a great activity to do, especially when you have friends and family visit you in Guildford. I especially enjoy the film with commentary that shows Guildford’s history through sketches, pictures and videos. Another way of getting free hot drinks in Guildford is by means of the different stamp cards you can get at the various coffee shops in town. I have been collecting stamps from Kalm Kitchen, Coffee Culture and Canopy, all of which I really love to visit. 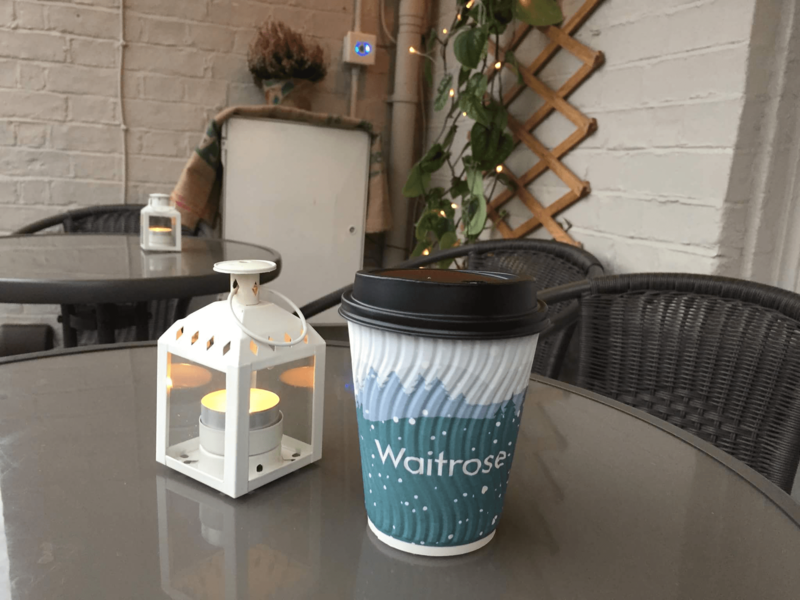 Although I have been slow to collect stamps as I have been taking advantage of the free drinks from Waitrose, I have received at least one free drink from Kalm Kitchen and Coffee Culture. I find it really great when companies offer this type of complimentary gift. The University of Surrey itself also offers a few free activities and goodies. For example, the University is currently running a campaign called Surrey Moves which offers you various rewards based on the amount of steps you make. So over a period of time you sync your steps to their website and once you’ve accumulated a certain amount of steps you can claim your reward. I’ve already claimed a baseball tee valued at 9.99 GBP! Learn more about it here: https://www.surrey.ac.uk/currentstudents/wellbeing/Wellbeing/Surrey-Sports-Park/. The University also offered a free limited edition t-shirts this year to student’s who completed the National Student Survey so definitely keep an eye out for a similar offer next year. 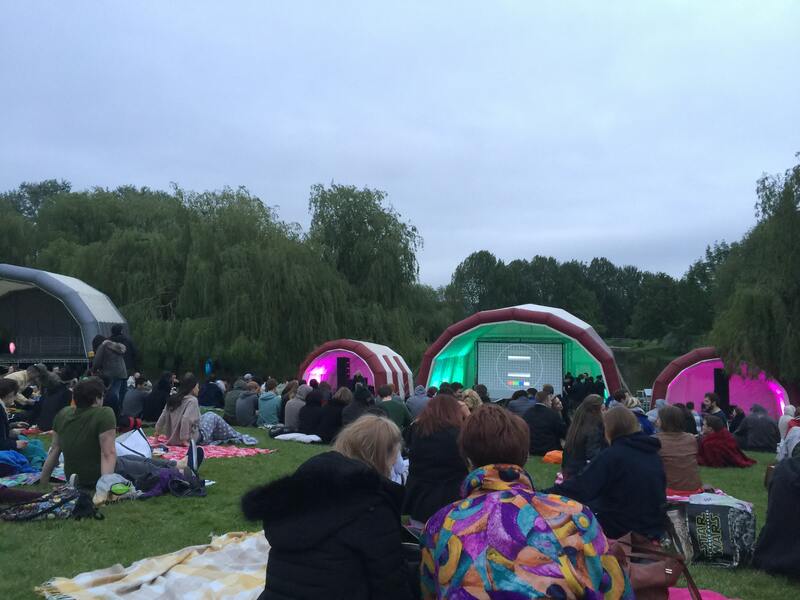 Additionally, the University is often host to free activities such as the Free Fest which offers live entertainment and an outdoor cinema by the lake on campus each year. Another example is the STA Travel Canadian breakfast event that came to campus at the beginning of this year. 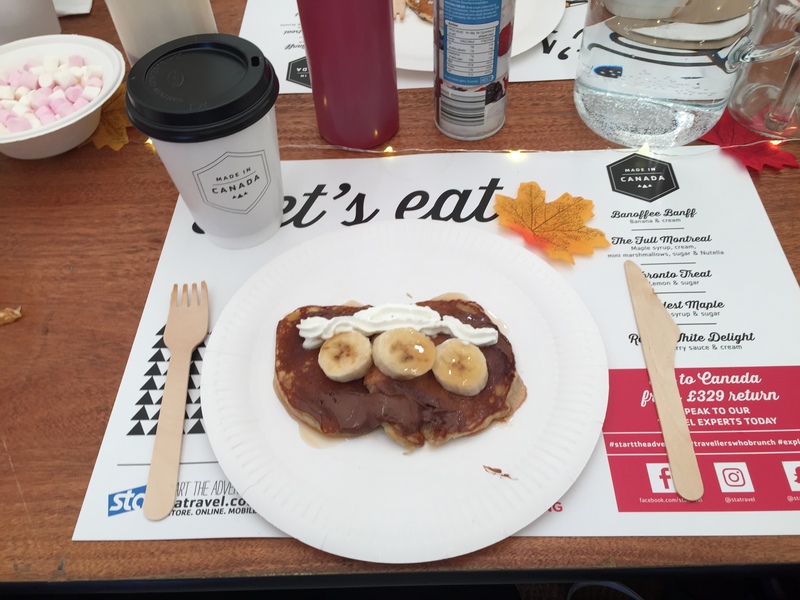 You can read my blog about it here: https://blogs.surrey.ac.uk/northamerica-blog/2017/11/16/a-canadian-surprise-on-campus/. Another great experience the University offers is the opportunity to sign-up for the Global Graduate Award. This is a module you can take along-side your studies in various subjects and languages. It is a great way of beefing up your CV and maybe learning a new language along the way. Find out more about it here: https://www.surrey.ac.uk/school-literature-languages/study/global-graduate-award. Next on this list is the free draft paper the University library offers. Though the paper is often marked on one side with either an error messages or some random student’s class notes that they decided they did not want anymore, the library offers the paper for students to take. This has been really great to use as draft paper to write on and to feed my printer with when I don’t need unmarked printing. I think this is a great way of recycling! 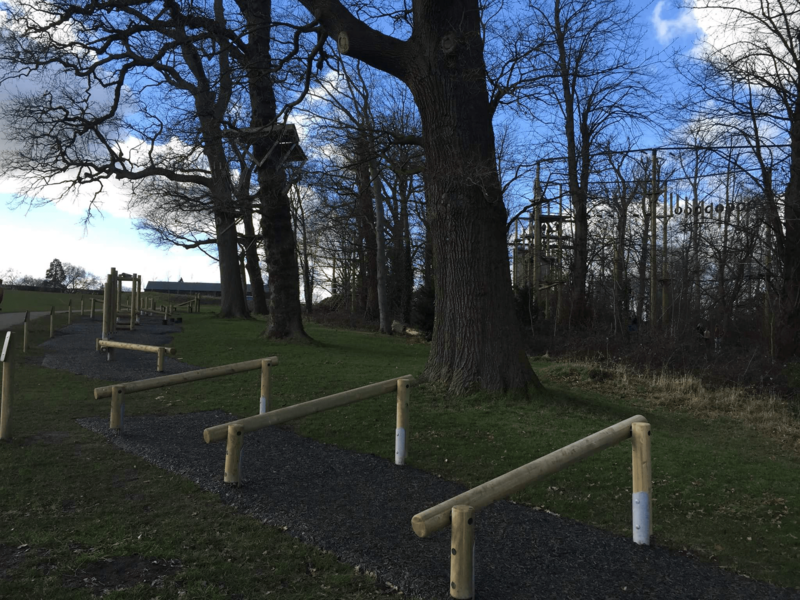 For this next one, if, like me, you are on too tight of a budget to purchase a gym membership, then you should check out the Stoke park outdoor gym. Not only is this area of town great for a run or to kick about a soccer ball, it also offers immovable equipment for exercises such as a chin up bar, a reclined sit-up apparatus and balance beams. On the same subject of exercise, this next one is free if you happen to have a friend that has a membership at the Activ Zone gym. Gabrielle’s gym membership allows her to bring a friend for free on Fridays and she’s been kind enough to let me tag along once a week. I figured I’d mention this one as many gyms offer a similar kind of thing which is definitely worth checking out. Although I have never tried this next free activity, Gabrielle loves the complimentary scented hand massage that Jo Malone offers when you shop with them. If you are thinking of purchasing something for yourself or someone special then make sure you take advantage of this fun complimentary experience. I know other stores such as Kiehl’s also offer similar experiences that could be worth checking out. In a similar vein, a few stores in Guildford also offer taste testers. Hotel Chocolate often has pretty luxurious chocolate to taste while Auntie Anne’s always has some yummy cinnamon sugar treats to try. Finally, although not free, a simple way to save money is to always carry your student card with you as several retailers give student discounts. I always ask before I make a purchase if the store has a student discount. Two spots that are well worth the student discount are the Odeon movie theatre and the 16-25 student rail card that gets you discounts on train tickets. I would also recommend signing up for the Odeon Premiere Club which allows you to accumulate points towards a free movie though these accumulate rather slowly. Well that’s my list for today! Student living can be a little rough at times but these free treats are sure to brighten your day.